Cake, the Havas-owned agency, has won a competitive pitch to handle PR for the V Festival, having previously worked on the account for 15 years. PRWeek understands that the incumbent agency was LD Communications, although Cake previously worked on the account from 1998 to 2012. The company would not disclose how many agencies it pitched against. Cake has been appointed on a retainer, starting immediately, to handle consumer PR and media activity for the festival in its 20th year. It will be responsible for the launch and build-up to the event, as well as festival on-site activity such as accreditation, press office management, artist liaison and press photography. Cake CEO Adrian Pettett said: "Winning V Festival back is a great moment for Cake, especially for the festival’s 20th anniversary year. It is one of our longest-standing clients, having worked with the brand for 15 years to make it a UK leader on the circuit, and one that really plays to our strengths with high profile music events. 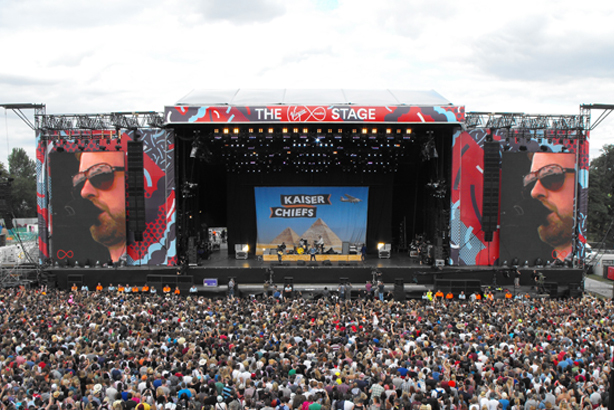 "The work for the V Festival is a perfect example of what lies at the heart of what we do – great ideas and execution, to drive nationwide profile." A spokesperson from the V Festival said: "We are excited to be back with Cake; it has innovative ideas and the agency’s reputation and work speaks for itself." The V Festival has been held annually since 1996 in Chelmsford and Staffordshire, with artists playing the two sites across consecutive days on the penultimate weekend in August. Last year’s line-up included Ed Sheeran, Lily Allen and Blondie. This year’s line-up will be announced in March.